The financial well-being of UK households improved last year, but overall it is not much better than it was five years ago according to the Office for National Statistics (ONS. In a series of new measures, the ONS is seeking to quantify economic well-being, as well as economic growth. Real Household Disposable Income (RHDI) per head increased by 1.9% in the year to December 2014. However, the measure is only up 0.2% from the second quarter of 2010. This particular measure, RHDI, is the one favoured by the chancellor, George Osborne. The ONS also reported a rise in the way households perceive their financial situation. In December 2014, the ONS survey showed a balance of -5.2, meaning that the number of people who thought their financial situation was getting worse outweighed the number seeing an improvement. However, that figure was an improvement on a year before, when the balance was -7.6. The series of data was first published by the ONS in December 2014. Traditionally, economists measure the UK economy by Gross Domestic Product (GDP) – which measures production, and the income it generates. But since December 2014, the ONS has started to release a range of alternative measures, first suggested by the Nobel-winning economist, Joseph Stiglitz. In 2009, he suggested that as well as looking at the performance of the overall economy, it was important to look at the economics of individual households. The decibel (usually shown as dB) is the unit used to measure the intensity of a sound. The decibel scale is a little odd because the human ear is very sensitive. Your ears can hear everything a moving insect to a loud firework. In terms of scale and power, the sound of the jet engine is about 1,000,000,000,000 times more powerful than the smallest audible sound. That’s a colossal difference! The smallest audible sound, (near total silence) on the decibel scale is 0 dB. A sound 10 times more powerful is 10 dB. A sound 100 times more powerful than near total silence is 20 dB. A sound 1,000 times more powerful than near total silence is 30 dB. Here are some common sounds and their decibel ratings: • Near total silence – 0 dB • A small insect walking – 5db • A whisper – 15 dB • A standard conversation – 60 dB • A lawnmower – 90 dB • A jackhammer – 110 dB • A rock concert or a jet engine – 120 dB • A firework – 140 dB One important consideration id the difference distance makes to sound – if further away you are greater the power is diminished. All of the ratings above are taken while standing near the sound at a similar position. Another important fact is that any sounds above 85 dB can cause hearing loss, and the loss is related both to the power and length of exposure to the sound You know that you are listening to an 85-dB sound if you have to raise your voice to be heard by somebody else. Eight hours of 90-dB sound can cause damage to your ears, i.e. a normal working day. On the extreme end of the scale exposure to 140-dB sound causes immediate damage and pain. To overcome these dangerous noise levels, new technology is being embraced. For instance due the constraints of acoustic testing / exposure on building sites, robotic demolition equipment are being used to undertake heavy jackhammer works, thus alleviating the need to put peoples hearing at risk. 110 Decibels Regular exposure of more than 1 minute risks permanent hearing loss. 100 Decibels No more than 15 minutes of unprotected exposure recommended. 85 Decibels Prolonged exposure to any noise at or above 85 decibels can cause gradual hearing loss. APT often under take exposure at work noise reports often for construction noise monitoring. We undertake measurements using class 1 equipment that allow you to ensure that your workforce is protected from the effects of excessive construction noise exposure. Once the levels are recorded you can quickly reference the hearing protection manufacturer for specific muffs, inserts etc to pick the correct hearing protection. The doseBadge system is also very useful in almost all Noise at Work applications, especially as it is so small that it does not interfere with work patterns. If you are unsure of the noise assessment services you require, please call us on 07775 623464 or visit the Air Pressure testing website today. Direct Submit Internet Marketing are pleased to announce they are working with Supply chain Warehouse, who are looking to promote their new website, very soon to go live, which will offer power tools & welding equipment, industrial grade adhesives and workwear from their UK located factory and warehouse. With each passing decade, shopping for decent, tasteful, mature ladies’ clothing becomes an ever-greater challenge. All too often, one goes into a shop which professes to sell the type of clothing we’re looking for and indeed it is…until one takes notice of the extra stitched-on butterfly, pointless zipper feature or sewn-in sequins or fake jewellery that make an otherwise sensible garment absolutely ridiculous. Doubtless there are those among us who would simply go on wearing the clothes we inherited from our deceased mothers or even grandmothers for the rest of our lives. Unfortunately, though, every article of clothing that comes into our possession, no matter how new its condition when we receive it, has a limit on how long it can be worn before it is no longer fit to be seen in outdoors. And when that day arrives by which most of us will have gone through Mum’s or Auntie’s wardrobe and all those sensible, versatile, once-sturdy pieces are now only good for being cut into squares and used as rags for household cleaning, we will have to make the dreaded trip to the ladies’ clothing department and hope for the best. Or will we? Indeed, a select few clothing stores for mature ladies and men still sell the type of clothing that one hopes to find when one has a genuine need: simple floral print blouses dresses, patterned and solid-colour slacks and trousers, comfortable shoes for walking and all manner of mix-and-match separates for a variety of occasions. One such shop that stands apart from the crowd is Country Collection, and the reason for this is already apparent in the name: Country Collection specialises in classic clothing for the country lifestyle that continues to be embraced by those of a certain age. If you’ve found it difficult in the past to find mature ladies’ summer clothing that suited your needs and taste, then give Country Collection a try. Ordering their summer catalogue is as easy as calling one of their Brampton or Salisbury shops or visiting their website. For more information on how Country Collection can help you update your wardrobe with our selection of mature ladies’ clothing in a variety of summer styles and colours, call us today on 0844 573 5310 or visit the Country Collection website today. The new franchise covers a period in which a series of upgrades will take place along the Great Western network. Those improvements include electric train services for the first time on the network, starting with services in the Thames Valley. Upgrades will also include additional train capacity at peak times. First Great Western will pay the government about £68m to operate the franchise – which operates services between London, the Cotswolds, South Wales and the South West – from September 2015 until April 2019. The Department for Transport (DfT) said passengers would benefit from the addition of three million extra seats across the network by 2018. 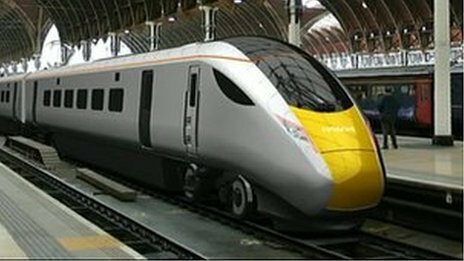 It also said more services to Devon and Cornwall would be added to the timetable, and 369 new train carriages introduced to the network. FirstGroup chief executive Tim O’Toole said the rail operator was already working with the DfT and Network Rail to deliver the initial phases of the £7.5bn Great Western mainline modernisation programme. The franchise award was long expected. FirstGroup is the longest serving of the train operating companies. In 1996, it joined a bid for one of the first railway franchises of the privatisation programme, which began under John Major’s Conservative government. It has operated the Great Western network on its own since 1998 when it took 100% ownership of the franchise. The average UK household will have unsecured debts of £10,000 by the end of next year, according to accountancy firm PricewaterhouseCoopers (PwC). The figure includes spending on credit cards, bank borrowing and student loans, but excludes mortgages. It would be the largest amount in cash terms that consumers have been in debt. However, a survey conducted alongside the report suggested that most consumers are confident about paying off those debts. One reason for such confidence may be the continuing low level of interest rates, which means that borrowing is cheap. According to PwC, unsecured borrowing increased by £19.7bn last year, or 9%. It said the average household owed “close to £9,000” in 2014. The most recent report from the Bank of England put the figure at £8,000. One reason for the increase is the amount of money being borrowed by students. Nearly half of the increase was accounted for by student loans. Borrowing on credit cards was responsible for 22% of the rise, with the rest from other sources, such as loans and overdrafts. The PwC report said that even though most people were in control of their debts, that could be tested when interest rates eventually rose. It warned that the size of debts in relation to household income could exceed its peak, which occurred in 2008, just before the financial crisis. “Consumers could begin to feel squeezed once again,” said Simon Westcott, a director in PwC’s financial services business. As far as secured lending is concerned, the Bank of England has previously said that a sudden rise in interest rates could leave more than 600,000 families vulnerable to a rise in mortgage rates. However, it said in December that overall household debt levels were below the long-term average. If you have a protected enclosure that requires an integrity test or you think you have a problem in terms of your enclosure construction then contact Air Pressure Testing as we can send across our air sealing checklist to help you prepare for the server room enclosure test. We can also offer a sealing service should it be required. If you would like more information in regards to a server room integrity test, please contact us now at on 07775 623464 or visit the Air Pressure Testing website today. Britain’s public finances improved in February leaving government borrowing down a third on a year earlier. Figures from the Office for National Statistics (ONS) showed tax receipts from self-assessment were £4.2bn, up £1.8bn on last February. January and February are the months when taxpayers who have not made full payments under PAYE make the bulk of their payments to the revenue. February’s government borrowing totalled £6.9bn, a fall of £3.5bn. The government’s latest target to borrow £90.2bn in the current fiscal year looks likely but it has failed in its plans to eliminate the deficit by 2015. On Thursday, ratings agency Fitch warned it was unlikely to restore Britain’s top-notch credit rating until it saw proof government debt-to-GDP was falling steadily.